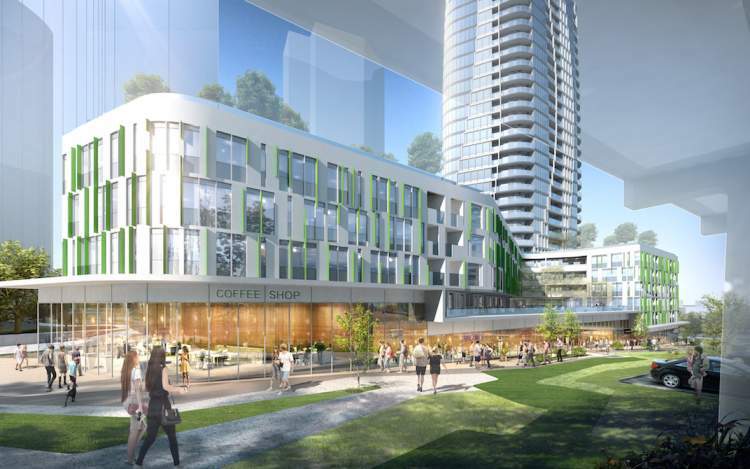 The site is intended to form the other side of the ‘Gateway’ with Vancouver House on the West side of the Granville Bridge. 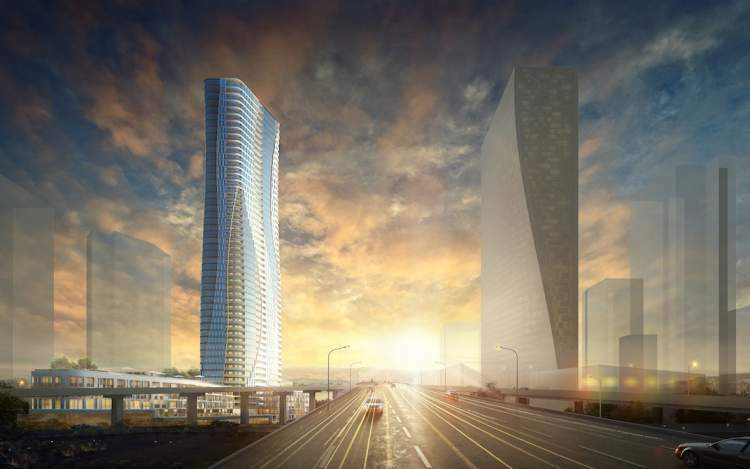 The Pinnacle tower was designed by JYOM International of Shanghai, China, co-founded by Vancouver native Kandice Emmie Kwok. GBL Architects is the architect of record. 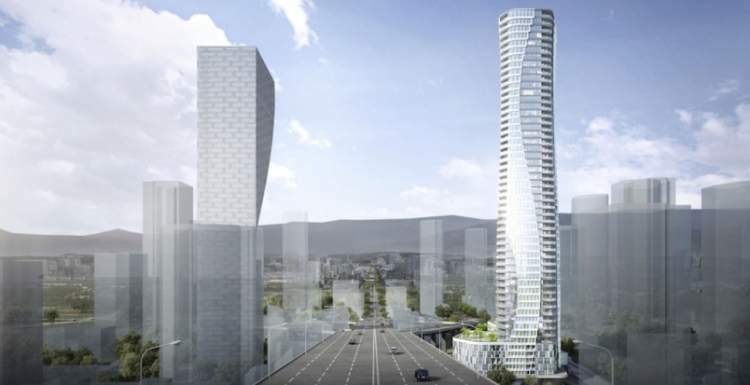 High-rise on east side of Granville Bridge designed to balance and echo Vancouver House. “Our site is asymmetrical to Vancouver House,” Kandice Kwok, founder of Shanghai-based Jyom Architecture. The firm, which has a Vancouver office, is the lead architect of the project, and locally-based GBL Architects is the architect of record. They responded to this unique interpretation by creating a tower design that replicates the elegant character and movement of a dancing female wearing a veil dress. Glass coupled with varying high-quality materials for the facade create the contrasting yet smooth curvaceous lines of the building. This project is in its development application stage. Prices have not yet been established. 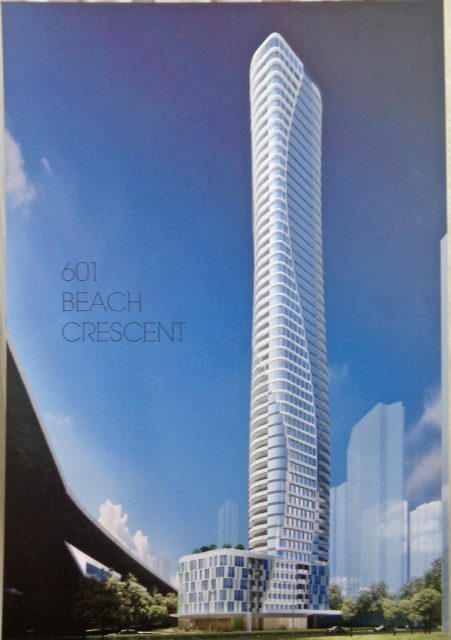 Sign up to our VIP list above for priority access to 601 Beach Crescent updates. A podium with an 18,000-square-foot retail space, second-floor amenities for the affordable housing residents, and extensive amenities with a pool on the podium rooftop for the market unit residents. At GBL, we believe that success in form isn’t simply defined by a strength to endure, but through an ability to surprise over time. We design with the belief that form plays a vital role in defining experience through an ever-changing dynamic between sculptural artistry and social responsibility. The design, by Chinese architectural firm JYOM Architecture with local firm GBL Architects, makes clear reference to the building’s iconic neighbour, with fluid lines on its façade that echo the twist in the tower opposite. Are you interested in learning more about other homes in Yaletown or Downtown Vancouver?